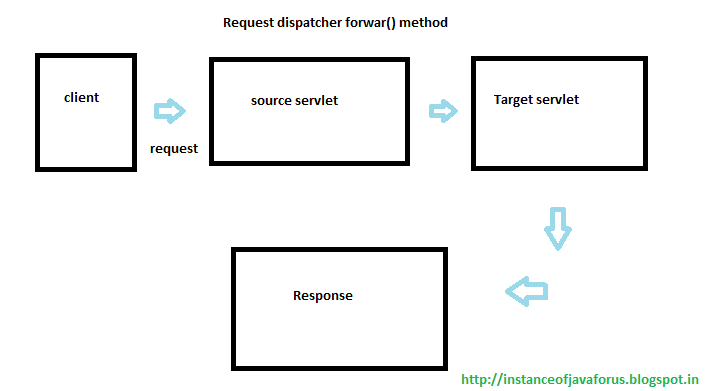 One servlet delegating request processing duty to other servlet is known as request dispatching. 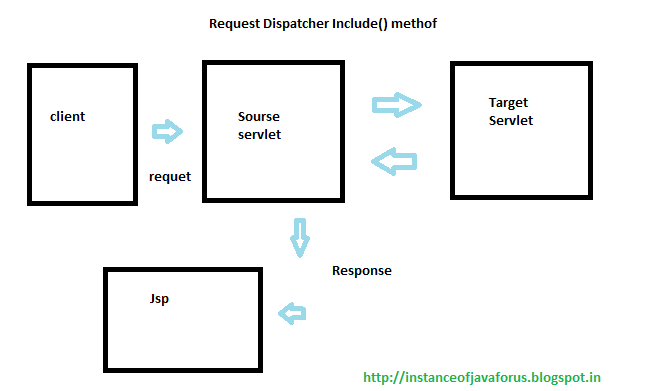 To implement inter-servlet communication and servlet -jsp communication we need request dispatching. When servlet receives a simple client request it need to communicate with any other servlet. if the incoming client request is complex one. A servlet process some portion of the request and remaining portion it need to communicate with other servlet known as inter-servlet communication. Step 1: Creating RequestDispatcher object. Step 2: Dispatching the request to the other servlet. That second servlet performs remaining portion of the request processing , produces the response page and handle over to the same web server. In case of include mechanism of request dispatching one servlet receives the control , performs a portion of processing and switches the control to another servlet for the remaining portion of the processing. gets control back from the next servlet and produces the dynamic web page on the web server.